French brand specialized in the bicycle world. Famous cyclists, VELOX offers a wide range of parts and accessories for bicycles. 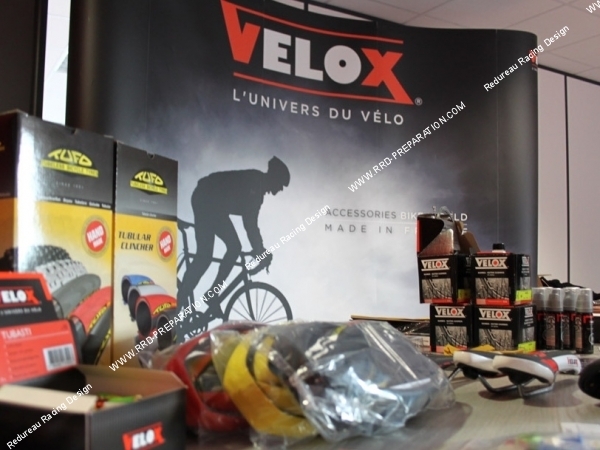 Velox, French company sells its products made ​​in France in the world. It strengthened its portfolio of imported products for French and neighboring markets. The brand has existed for over 100 years and remains very concentrated on its heart of expertise. Velox grows in the areas of fund rim for wheels, repair and puncture, bike maintenance, safety accessories, techniques and traditional handlebar ribbons, cables. 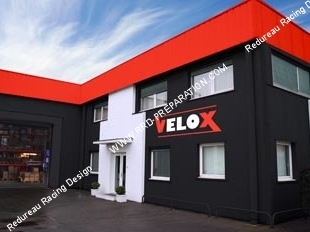 Velox protects its brand globally and has a wide network of dealers. The Velox brand exists since 1903 and continues to innovate for security accessories, maintenance and repair of the bike. Precursor from the early twentieth century, Velox filed in November 1913 the first bicycle repair kit for the Commercial Court of Paris. Today specialized in the repair and maintenance of bicycles, the Velox brand has a wide range of repair kits and accessories for motorcycles. In 1950, continuing innovation, Velox drops the term "handlebar" to designate the tape that is surrounding around the handlebar of the hanger to improve grip. The Velox shop now has various types of bar tape: cotton, PVC, for parts or complete handlebar handlebars, and in different colors. Velox sells other Handlebar accessories such as Plastader or tips. Great French brand for all cycling enthusiasts, Velox has always fervently follows the most notorious cycling races. The brand sponsors including cycling teams for the amateur Tour de France organized by ASO or for the Haute Route, which takes place in August between Geneva and Nice.